Twitter announced today that it has finally added a Bookmarks feature. For anyone who uses Twitter regularly, yes, this means you can stop liking everything to try and save it for later. You can probably edit your profile too, to remove that “Likes are not endorsements” line. The Bookmarks option will be included within the Share button. That seems kind of odd, but you’ll be able to bookmark Tweets by tapping the Share button, then “Add Tweet to Bookmarks.” To access your Bookmarks, you’ll find a shortcut to them by tapping on your profile icon. Oh, and Bookmarks are only seen by you. So as you bookmark items, your followers won’t see any of that action. This is your show, folks. 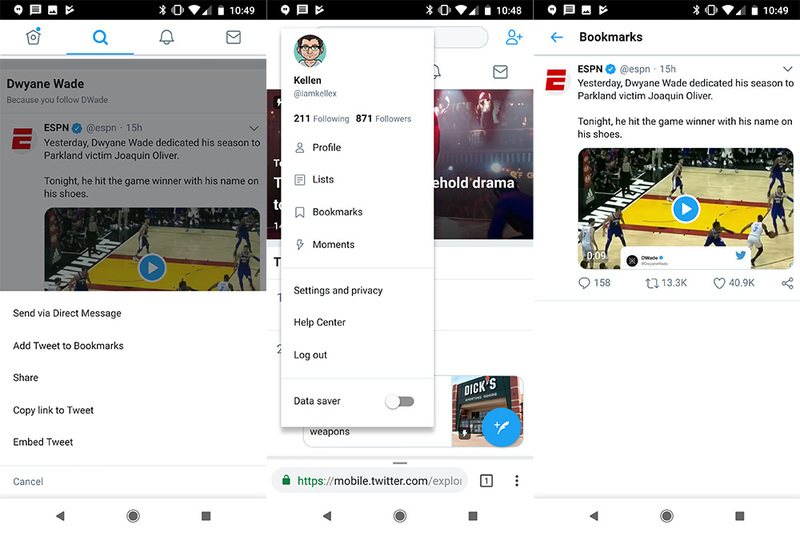 Twitter says that bookmarks are rolling out globally today on iOS, Android, Twitter Lite, and mobile.twitter.com. I’m not yet seeing the update for Android, but you can certainly accessing the new bookmarks option on the mobile site.